A mutated virus adds a new twist to the annual Oktoberfest. If your lederhosen and alpine hat are bloodstained and torn, you will fit right in. 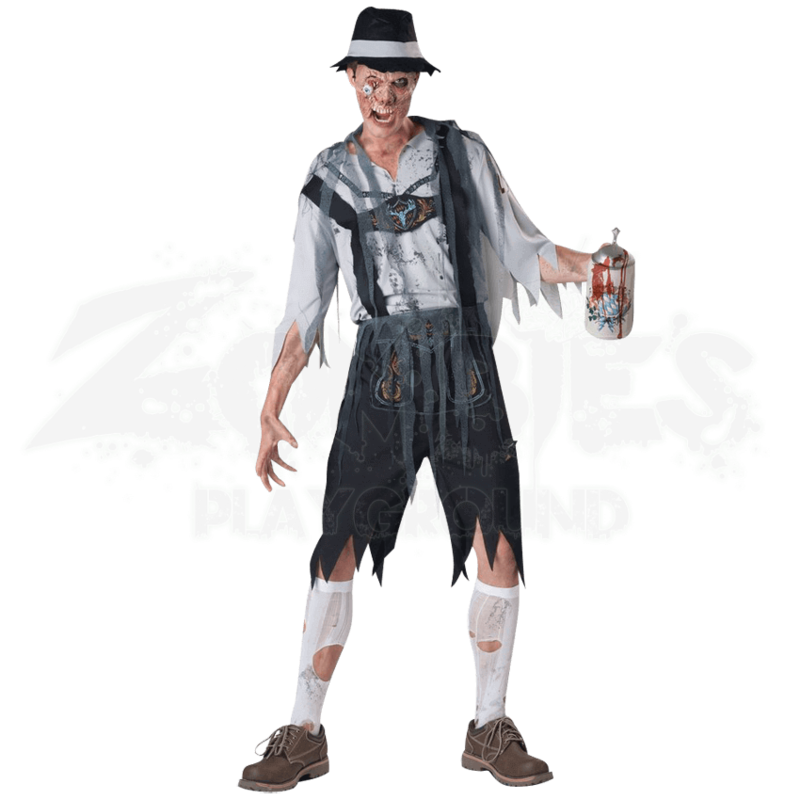 Join the undead horde and celebrate tradition with the Zombie OktoberFeast Adult Costume. This set includes the shirt with attached scarf, lederhosen, waist drape, alpine hat, and sculpted mask. Festive designs decorate what must have once been a fine set of German fancy dress. 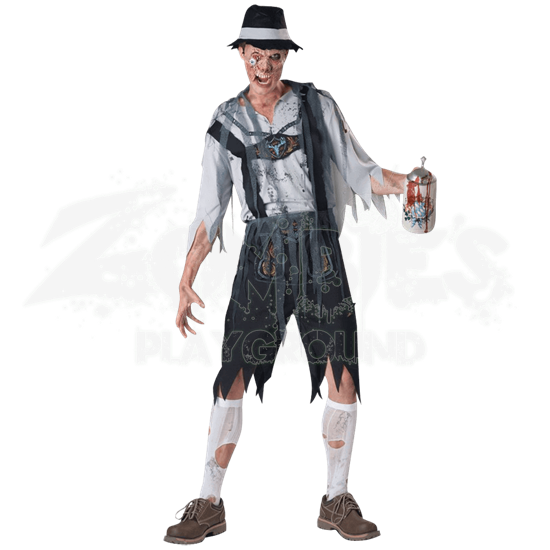 Now gory stains and tattered hems decorate the Bavarian costume. The highly detailed mask covers the upper half of the face. Wrinkled, rotten flesh, a dangling eye, and a decaying tooth-line add a horrendous touch to your portrayal. Please beware that the socks, beer stein, and makeup are not included.